Printing on Mugs, an in-house pad-printing business located in Pretoria, can also deliver to other areas like Centurion, Midrand, Sandton, Bedfordview and other Johannesburg areas. 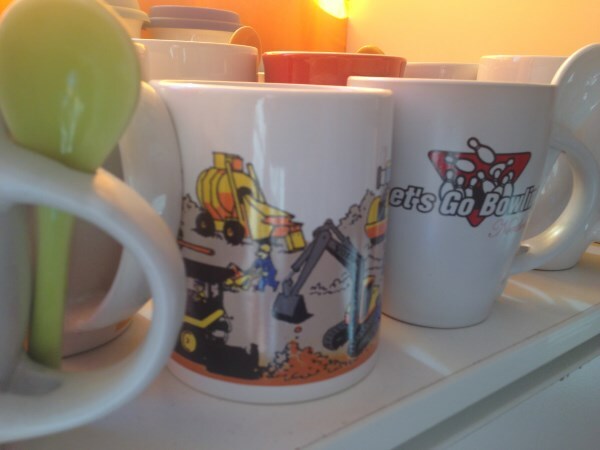 We specialize in full colour printing on Mugs, Cups, Thermal Mugs and all other Ceramics. Printing on Mugs, can print around the whole mug as well as on the ear and inside. Printing on Mugs, has its own repro facilities saving you turnaround time and Printing on Mugs, has their own designers and plate makers, making the pad-printing process so much easier. No more waiting a week longer because of the exposing being late! 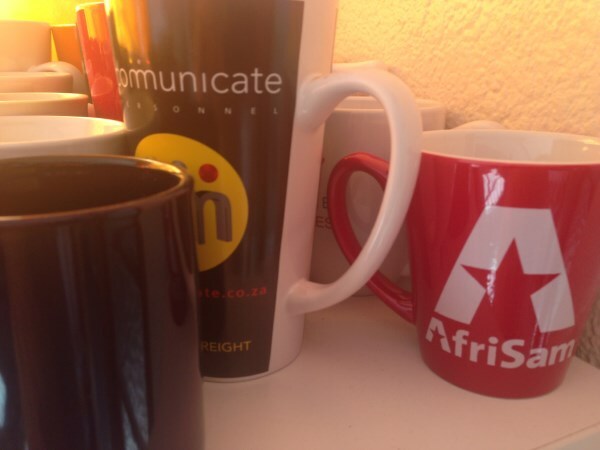 Printing on Mugs, branding option on mugs and cups in Pretoria and Joburg, supplies a catalog of wholesale mugs available, including Standard, Cone, Squared, Jumbo and Bullet Mugs.